(6.5-7.5 lbs.) 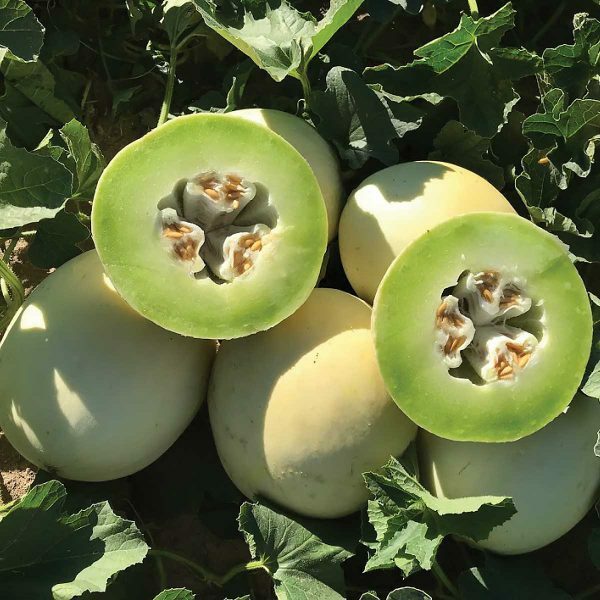 Dewey F1 Honeydew melon has a round shape with an ivory-green rind pattern. Very crisp pale-green flesh with a medium open cavity. 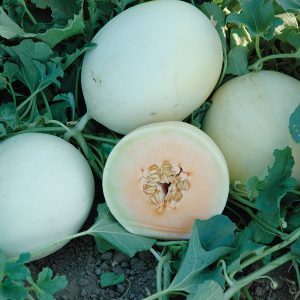 Dewey F1 is a hybrid, Honeydew melon with high brix and excellent taste.